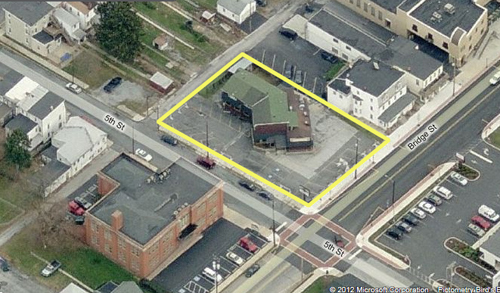 Nice corner property in the heart of downtown New Cumberland across from Integrity Bank. Former diner. Excellent location for restaurant, retail, office, beauty salon, church, etc. A 4-bedroom apartment with 21/2 bathrooms is located on the 2nd floor. The property is sold as-is.